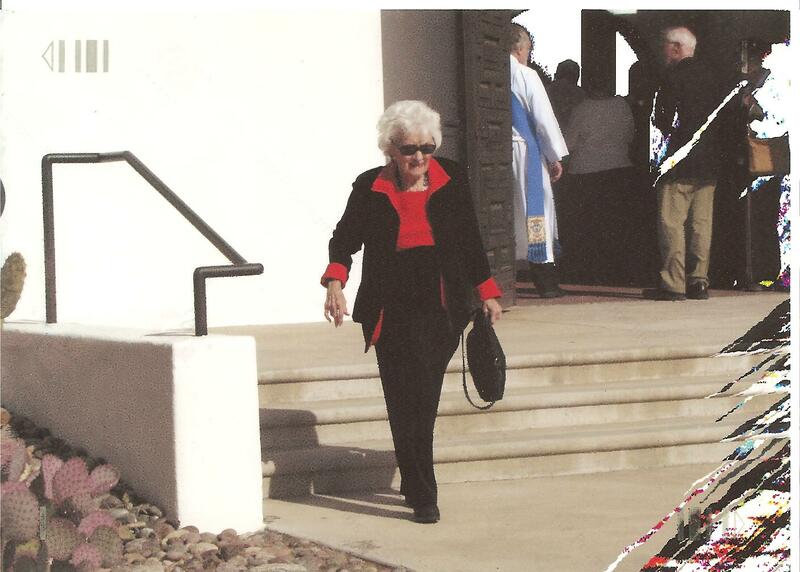 Mom, a few years ago, confident, calm and happy in Tucson. Something to just give her peace. This entry was posted in Losing my mother-the advancement of Alzheimers and tagged alzheimers, assisted living, dementia by Exechorseluver. Bookmark the permalink. We are living the same nightmare. When we leave Bessie, she always wants to know when is she going home. It’s easier to say “tomorrow” than go through the whole “you are home, Sam is dead, it is 2012 . . . It is hard, Becky. Each day I make a point to stop and talk with Bessie as well. I pat her on the shoulder and compliment what she is wearing or just try to be friendly. She has no idea who I am but she does look for me in the dining room each night and seem to take some comfort in my acknowledgment of her. I’m so sorry Cindy that you both are going through this. It’s heartbreaking. My mantra that helped me with Sharyl’s illness was “I didn’t cause this (easier to accept), I can’t fix this (much harder) but I can surround her with my love while I am with her.”. I still struggle with wanting to “fix” and somehow undo all the suffering that Sharyl and Lori and the whole family have suffered. It is illogical, yet enduring that I’ve give myself so much beyond-human responsibility. One thing I do know for sure, is that Sharyl felt my love. I feel like I missed so much when she was in Denver/Tucson. But you are right, the best and only thing I can give is love. I have that in spades. Thank you for being there with me in this journey.